Andreena and Gee Jay are well known for their monthly open mic event, Poetry LGBT which has been running for nearly 2 years. Poetry LGBT allows people to showcase their various talents from singing, rapping, poetry to dance. The couple have ventured onto a new project, Lez Minglez in conjunction with their infamous open mic night. Lez Minglez is a speed dating night for lesbian/queer/bisexual women which is held twice a year in East London. Speed dating is basically a social environment where people have a series of short conversations with the hope of finding a potential partner. Andreena wanted to create a space where like-minded individuals could meet and get to know each other face to face without the noise that a club atmosphere brings. On Sunday night I decided take a leap of faith and attend Lez Minglez. I cringed quite a bit at first but I believe you should try everything once (within reason). I arrived slightly late (as I normally do) and was greeted by Andreena and Gee Jay who both met online in 2012. 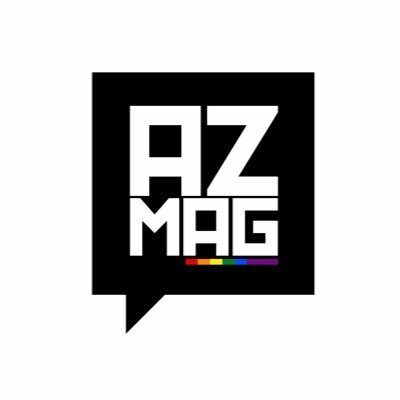 We had a short conversation and they spoke about their passion for creating events where LGBTQ people are able to express themselves and be proud of who they are. The atmosphere was intimate and serene with low lights and little tables with candles placed on them. Neo soul music played in the background to set the tone and as I looked around the room and saw women of different ethnicities and ages conversing and getting to know one another. The nerves set in. I was handed a score sheet which was separated into different categories; Appearance, Personality, Romance Conversation and The Date. A total score of 40 out of 50 would have to be obtained to be considered a match (I found it difficult to score people). In other words both parties would need to score each other a total of 40 or more in order to be matched. The aim was to spend 5 minutes talking to your, ‘date’ before your time was up and you would have to rotate to another table and meet someone new. My first date wasn’t as nerve racking as I thought it would be and before I knew it I got into the swing of talking and making jokes. After the fifth rotation it was time for a short break and we were treated to some delicious well-presented Cuban food. People took the opportunity to mingle and freshen up. We then resumed and I had a total of eight dates by the end of the night. I did feel slightly awkward when I had to sit across from someone I had previously gone on a date with (yikes) but nevertheless, we were able to talk like it was the very first time we had met. Andreena closed the night with a thank you speech and reminded everyone that she would contact us individually with our matches. Overall I must say that it was a good experience which allowed me to push myself out of my comfort zone. It was also a good opportunity to network and improve my conversational skills. Your experience is too good. I appreciate both of you, and your event for the people. The first date experience is depend on the appearance, facial expression, romance and conversation. Mostly first date is nerves.